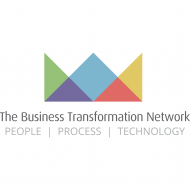 The Business Transformation Network is a thought leadership network which has the aim of becoming the ‘World’s Home for Business Transformation’. The network allows experts in their field to showcase their knowledge through the dissemination of ideas through online video content, articles, events and webinars. As businesses go through difficult periods of change such as digital transformation, the BTN provides a platform for leaders to learn, whether at events or from content, from other experts who have has experience going through a similar process.